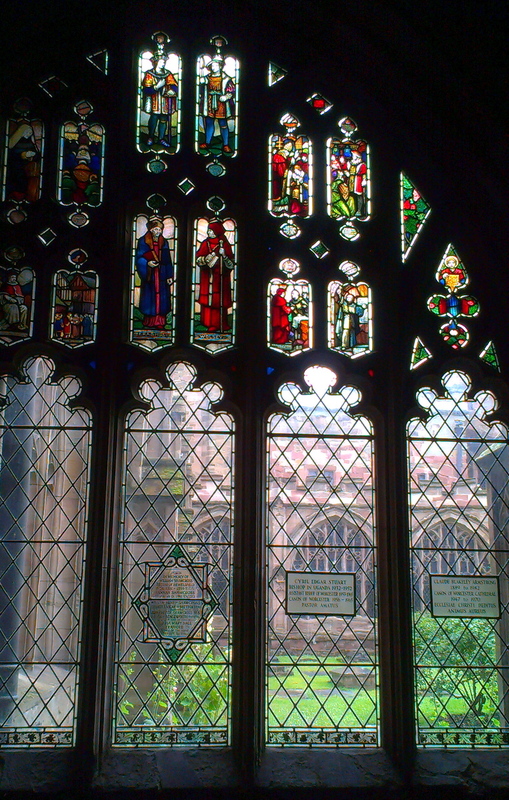 We haven’t had a window here for quite a while, so here’s one from the cloisters at Worcester Cathedral. Lots more pictures of the cloister windows over at my other place today if this one has whetted your appetite. There’s something about those windows, you’re right. That one is on a corner and I loved the way the other side showed through. I can never resist a stained-glass window.